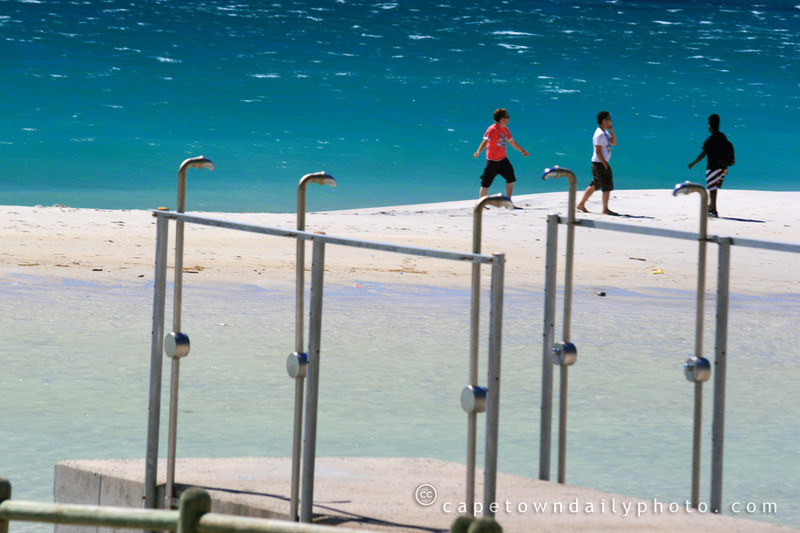 These particular fresh-water showers are found at Camps Bay beach, overlooking the white sands and just over the road from the restaurants that line Victoria Road. While I have no problem using the showers, their location causes me to feel slightly exposed every now and again. Many other beaches have showers in slightly more secluded locations, but not here at Camps Bay. Given the option though, I'd elect to keep them where they are. It's not often that one has the opportunity to shower with a view like this. While typing this post I remembered a scene from the movie Drillbit Taylor in which the hobo-like Owen Wilson uses showers almost like these for his morning cleansing routine. The only difference was that he didn't feel that his bathing costume needed to be washed. Posted in General on Sunday, 21 December, 2008 by Paul.